Not everyone who is looking to get more fit has an interest in showing off their six-pack abs or stunning the Instagram world with shockingly lean, muscle defined photos. But for those who are willing to put in the work, hone their mental focus, and seek the help of a personal athletic training professional, there are some incredible benefits of becoming lean. The Training House in Baltimore is exactly the kind of place where achieving results like these is possible, and we would love to celebrate with you as you cross the finish line. Contact us today and read below to learn more about how utilizing a professional, personal athletic training to get lean can provide some pretty sweet benefits. Let’s start with establishing some baselines for what a “lean” body fat percentage looks like. According to this medically reviewed article by BuiltLean, the range for a man is between roughly 10-15 percent, and 17-22 percent for women. Achieving this level of body fat gives you some pretty great benefits, first and foremost of which is a body that looks and feels great. People with leaner bodies tend to be healthier, more flexible, more injury resistant, and have quicker cardio recovery times than other people of active lifestyles with higher levels of body fat. Getting to this level is tough, but utilizing sports performance training and the services of a personal athletic trainer from Training House can help you get there. When you look and feel physically great, you’ll find that you are more confident in your daily interactions with others, both personal and professional. Dressing for success doesn’t stop at what you get dressed up in each day, and the confidence that you achieve by sticking to your goals and routines makes you feel like you can conquer anything you put your mind to. If you find you are struggling to go the distance on your own, consider using a personal trainer to motivate you, celebrate you, and help keep you accountable. Just like any other machine, biological or mechanical, your body is easier to maintain at a high level of fitness than it is to get there. There is no getting around the time strength training, dieting, mindful living, and logged time on the elliptical at the athletic training center when it comes to achieving elite levels of fitness. But once you are there, there is some strong research that suggests that your body has ways of helping you stay fit better than it has of helping you get fit. For reasons that aren’t 100 percent understood yet, a lean body does a better job of metabolizing calories from all sources and tends to be harder to pack fat pounds onto. The great news for you is that once you have invested the time with your personal athletic trainer and gotten the nutrition guidance that you need, the uphill battle is largely over. You don’t really have to worry about one day, or even weekend, of “cheating” ruining all your hard work. The best part of getting lean and staying lean is the incredible amount of physical and mental energy that you save. Getting into shape takes work. People who are successful put in the work and spend hours being disciplined to succeed. But once there, they have set themselves up for long-term time and energy savings for years to come. 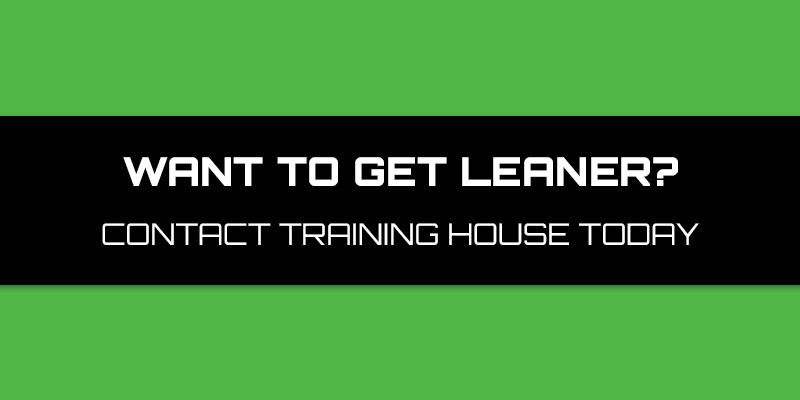 Call Training House today to speak with one of our personal athletic trainers and start your journey towards a leaner you today.